The aforementioned slope has to do with the fact that I really wanted to build another Tamiya Lancia 037, and somehow ended up with that and this model – among other things… It is a bad plan for someone freshly unemployed, but perhaps a build can help me move on! The Ferrari 312T3 was the third of Ferrari’s 312T-series cars, using a 3-litre 12-cylinder engine and tracing its lineage to the first 312T in 1975. 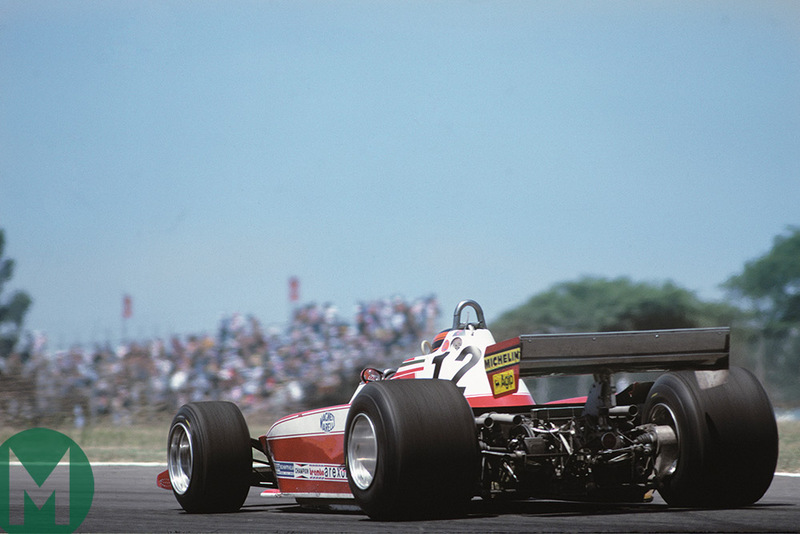 The T3 was introduced during the 1978 season, at the South African Grand Prix. 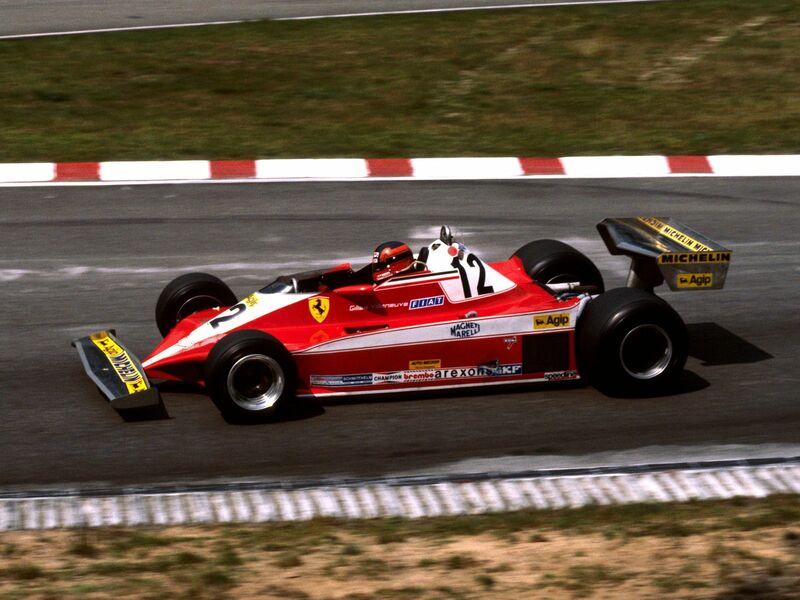 Carlos Reutemann was the team leader, with Gilles Villeneuve as the second driver. It replaced the 312T2 that propelled Niki Lauda to the 1975 and 1977 F1 World Drivers’ Championship, and arrived after Lauda had left the team under quite-acrimonious circumstances. The T3 was designed for superior aerodynamic performance over its predecessor, particularly on the top surfaces. The 1978 F1 season might be best remembered for Team Lotus’ campaign, from the revolutionary Lotus 79 to Mario Andretti’s world title to Ronnie Peterson’s tragic death. In the immediate background was Ferrari with their 312T3; Reutemann won three races to finish the season in 3rd, behind both Lotus drivers, and Gilles Villeneuve took the Canadian Grand Prix after the Lotus of Peterson’s replacement, Jean-Pierre Jarier, lost oil pressure. Ferrari upped the ante with their next car – the 312T4 – and so the 312T3 was the car that could have been the premier contender, if not for an even more remarkable contemporary. 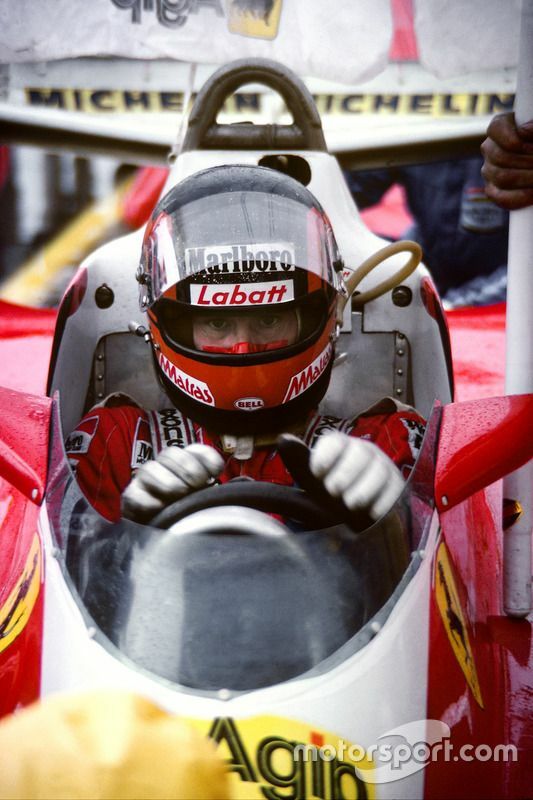 Grastens and the Ferrari 312T3 – Forza Gilles! As a Canadian, Gilles’ story is one that can be pointed to with pride. I personally was amazed that Tamiya would recognize him by including markings for his car when they released the Ferrari 312T3. 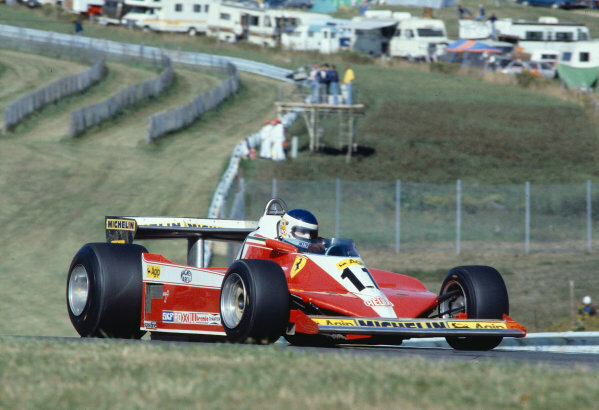 It was the succeeding 312T4 that really propelled him to superstardom; however, the fact remains that he was a race winner in the T3 and remains famous for the four-wheeled ferocity he brought each race day. So, a Tamiya RC car – an attractive one at that – with a connection to perhaps the country’s best-ever race car driver. I do not care too much for open-wheel cars, despite my first Tamiya being the F103RS (that was the closed-wheel Toyota GT-One, though), but the draw of building up a piece of rare Canadian motorsports greatness won me over. Tamiya has had three different releases of this car. All three of them were available with both ABS and polycarbonate body sets. This followed Tamiya’s early practice of issuing one lightweight ‘practice’ shell and one detailed ‘racing’ shell in their F1 kits. 58011 refers to the original 1979 release, which put the shell on a metal chassis with mechanical speed control, 380-size motor, and the classic staggered wheel sizes of F1 racers of that era. It could be upgraded with a 540-size motor, ball bearings, and the distinctive Diplo front tires – to name a few modifications – and shared a servo saver with the largely-dissimilar Rough Rider/Buggy Champ! 49191 was the 1991 re-release. The body shells returned, this time on the versatile F103RS. Wheels and tires were chrome six-split-spoke types and rubber, respectively. The track width of this chassis and the dimensions of the tires gave this model a suitable stance, though the ground clearance necessary for untreated pavement running made it appear somewhat ungainly. 47374 is the 2018 re-re-release – the model of interest in this thread. The F104W is used, for an updated drive that retains a similar stance to the previous versions. Sponge tires and silver-moulded plastic five-spoke wheels are new to the kit, as is what appears to be a visor for the driver – more on that later. 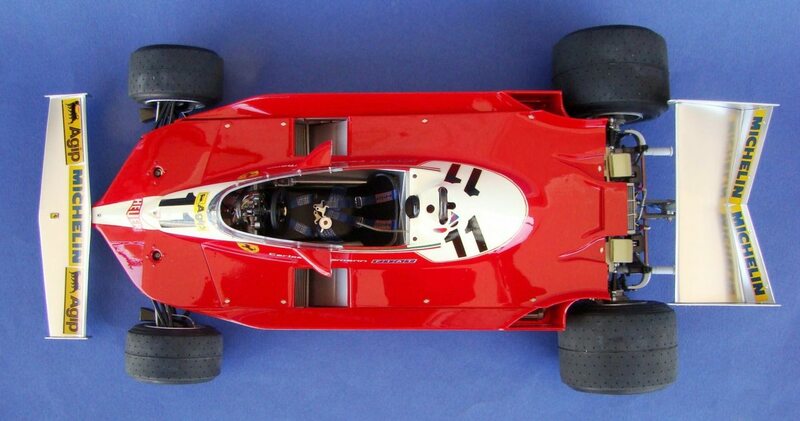 Of course, Tamiya also made some excellent 1:20 scale static models of the Ferrari 312T3. 20010 refers to the standard kit, while 20051 is a special type with a transparent plastic body. Sure, the charm of the original boxes is lost, but I think even the first re-release was out before I was! The other side is more standard, with a resized box-art drawing and a quick overview of required materials and hop-up parts. Knowing these things, hop-ups cannot be limited to just an aluminum servo holder and black uprights! This was a nice touch by Tamiya. Separating the mechanical parts and bodywork from the plastic sprues would be much-appreciated by a static model builder, even while the plastic sprues are in bags. And it turns out the visor… is a decal! So, the usual slick packaging for a simple chassis makes for quite a tidy box. Repacking everything was much easier than a more complicated re-release, such as the new Lancia 037. There should be no ambiguities as to whether I am building Reutemann’s or Villeneuve’s car! However, it appears most of the time, the body covered the engine. I intend to swap out the standard helmet with one where the driver does not have a balaclava. 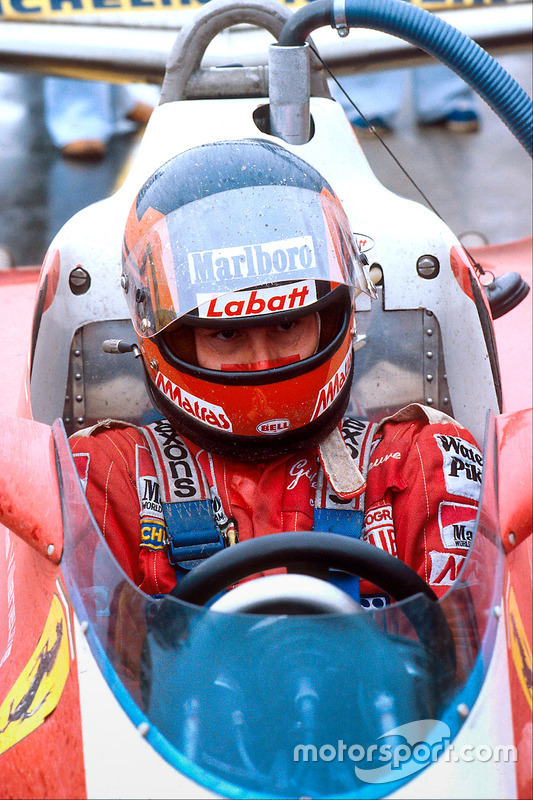 Carlos Reutemann wore the balaclava with eye holes, whereas Villeneuve rarely (if ever) did. Other than that, I plan to paint the centres of the wheels in TS-21 Gold, to give a closer appearance to the 312T3’s wheels. The actual car used four-spoke wheels at the front and heavily-dished rear wheels. Where I can, I hope to add small details that bring the model closer to the actual car, while recognizing limitations for the sake of a usable RC chassis. There may also be plans to add small accessories to the polycarbonate shell that otherwise only feature on the hard plastic set, such as the roll bar and mirrors. Hop-ups will be limited to the lovely Tamiya Super Stock RZ motor (in transit) and perhaps the F1 Turnbuckle Tie Rod set (53150) and Directly-Connected Servo Saver (50204). The motor will definitely make its way into the car, while the servo saver and turnbuckles will do so once the stock parts are evaluated. I intend to keep the rest of the chassis stock; somehow, I want the car to drive a bit differently than a fully hopped-up F104W, as if that will differentiate it from a totally-modern RC F1 car. In using the F104W, this Ferrari 312T3 is already lightyears-ahead of the original 58011, so the intent can only go so far with that decision. This has all the makings of a protracted build: I have all the electrics lined up, scrounged up the five ball bearings needed to get the chassis really rolling, and absolutely no paint. I have no place to paint, either, even if I could afford it at this juncture. It could open some time to ruminate about the Ferrari 312T3 and Gilles Villeneuve – though my background with this car is quite shallow compared to my love for 037s, so that might not be a lot of material! 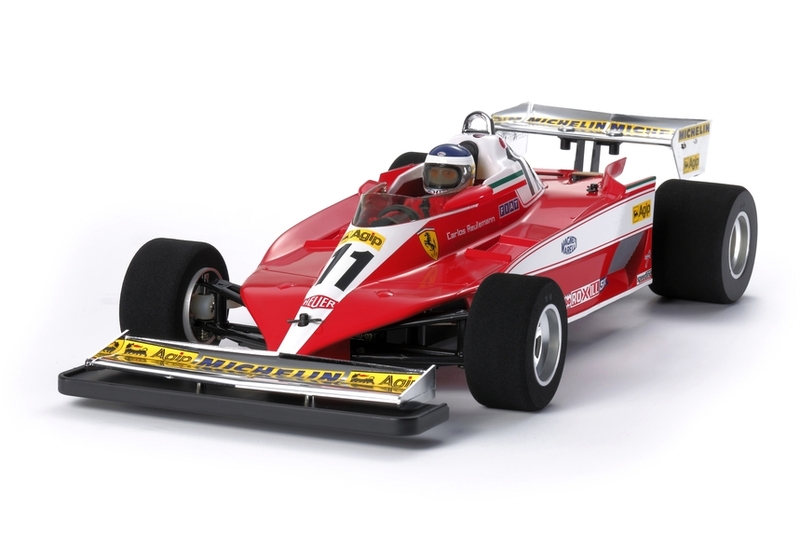 I am not familiar with the Ferrari 312T3 as well as the Lancia 037 (which I built and ruminated about in another thread) or Toyota GT-One (which I built early on, before build threads were a thing), but I hope to do this nice re-re-release some justice. It almost feels obligatory to build a model of a famous Canadian’s race car, which with 47374 I can finally do. Thanks for reading! The build of a car with a special Canadian connection is the subject of this thread. I hope to get started quite soon. It had been so long, though, that I completely misplaced the supplied receiver! That was frustrating... However, I did turn up several more receivers, which will no doubt be of use in future projects. I was really hoping to get started on this new radio, though it had been so long that Spektrum has already discontinued it! As the story went, I was looking to replace my aging DX3C with a then-current radio, only to find that the DX4C uses the DSMR protocol instead of the previous DSM/DSM2, meaning I needed all-new receivers to run the new one. And so, it had sat abandoned until now. I think it will be used in the next build after this one. One of the receivers I did find was an old Spektrum SR201, which is water-resistant. I need this feature if I want to be re-enacting Gilles Villeneuve's wet-weather heroics! We have: the Spektrum SR201; the HPI SF-10W servo that is a staple of the Savage 4.6; and the MTroniks Sport-Tuned 20 ESC. The Torque-Tuned motor was used for this step to bind and test the radio equipment; as before, the motor of choice will be a Tamiya Super Stock RZ, with the stock silver can as the stand-in until said motor arrives, should I get to that part. Step 1 actually refers to the assembly of the lower chassis plate and the T-bar. I delayed this step in order to sand down the edges and seal them with CA glue. It may be less necessary with a fibreglass chassis plate than with a carbon type, but it seemed like good practice to me. The edges had just finished setting by the time I ran out of time. In other related news, I have been generously offered the services of TC's own @speedy_w_beans for some detail parts! He has kindly offered to design and 3D-print a few scale parts (in exchange for money, of course! ); the first items that came up were front brake ducts. For now, I will focus on the chassis build, but once bodywork (or even the front upright assembly) comes around, I will evaluate my options. It does have the potential to really set this car apart, so I am quite interested - especially after projects like that Nissan Nismo GT-R LM. The next few days look too hectic for much meaningful progress, but with the chassis plates treated, I expect to get to work nonetheless. The F104W is a simple car, so I hope that a few hours will be sufficient to get a good amount of it assembled. No money required. Just happy to help out a fellow enthusiast. Plus, I have the same kit so I'd like to go that extra mile for myself as well. If you have a list of detail parts and some good reference photos it could be good for both of us. Interest was kept by research on the actual car. So far, it looks like Tamiya really chose their subject well, for their own work has left little for improvement/enhancement. What I have concluded, though, is that the car looks odd not just for its ground clearance, but for its tire choice: the previous F104W releases (Wolf WR1 and Lotus 79) had special wheels and tires that were staggered much like the actual cars, whereas the Ferrari 312T3 gets the F103-based foam tires and wheels that must be a legacy of the first re-release's F103RS chassis. I have measured the difference in front and rear F103 tire heights to be approximately 2 mm (56 front/58 rear), whereas the Lotus 79 and Wolf WR1 get front and rear tires with a height difference of 11 mm (56 front/67 rear). 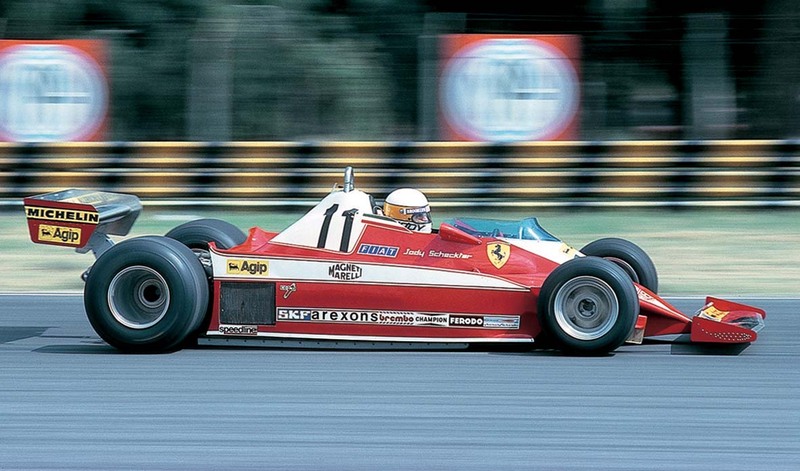 Many F1 cars in the 1970s had visibly-staggered tire sizes, and the Ferrari 312T3 seems no exception, yet the re-re-release's tire choice negates that. However, I will deliberate on the topic of acquiring the F104W rubber tires and matching wheels, despite my enthusiasm for both a slightly more scale-looking car and rubber tires. Seeing the model in front of me when I build it up will give me a much better idea of what I want. I wonder if the F104W wheels in a different pattern can be 3D-printed... If/when I do find them, I will require some assistance in locating suitably-sized foam inserts for the rears, since the fronts already appear to be 60D-size. At the moment, wheels and tires are the primary details I am concerned with, along with brake ducts and a possible air hose fitting at the driver's helmet. The bodywork, as before, seems to conceal a lot of the mechanicals, and there are not too many additional surface details. Seeing an asymmetric chassis this early on is interesting - for me, anyway. A rough cut on the rear battery holder turned worse with sandpaper. A file would be a better choice. The first unused part appears here, in the form of the diffuser on the bottom left. Can I adapt it to my GT-One, perhaps? Obviously, I must be out of practice! At least this step was familiar to me as an owner of the F103RS. This takes us through most of the way through Parts Bag A. They were a satisfying fit, with minimal play. These particular parts felt well-made to the touch. Thread lock went on the grub screws that fixed the axle stubs to the rear axle shaft. Decals were taken from another model's used sheet, leaving the decal bag in my kit intact (for now). This is the FRP that I remember from my first kit. Maybe it was not so bad back then. Here comes the front suspension! The servos I remember were not made of such brittle plastic; I nearly snapped the servo case vertically in half! The bead of glue on the top (bottom of the servo) seals up a hairline fracture made during the cut. No other damage was visible, so I am fortunate for that. Documenting this build is allowing me to savour it, and at the moment I am enjoying everything so far. I look forward to the ESC and receiver tray builds in particular, having no experience with those. It is a simple chassis, meaning it will be over before I know it. ... And then we wait until spring for the bodywork! Tires, wheels, brake ducts, and a helmet hose? That gives me a few things to investigate in parallel with you. The helmet hose will involve some extra wire of some sort and should be straightforward. The others will need some consultation - I will continue working on that list and research! I figured that the F104W is a simple chassis, and as such should not take too much time to complete. This does not always mean there is no sophistication – my hang-up on the rotating electronics trays would be addressed with exactly that step. The HPI SF-10W servo fits a Tamiya/Futaba servo saver piece. I had a difficult time finding a straight fit with the servo in neutral, and as a result cranked the steering trim far to one side to achieve the desired result. Not satisfactory, but if the car ends up tracking straight, I will not be overly concerned. The servo saver got assembled, along with the tie rods and the correct servo horn screw – here, a 3 x 10 mm type. The tie rods are each set to 47 mm, between the adjuster and the kink in each rod. Plenty of play here. I do look forward to upgrading to a turnbuckle tie rod set in the future, though will be content with steering in the meantime! The motor and battery cables out of the ESC had to remain free from the upper deck, so those were just secured to each other with a supplied cable tie. Tamiya puts six of them in the kit. In this position, there is still some clearance between the switch and the side of the bodyshell – I hope! Perhaps unusually, the last time I saw one of these dampers, I had two of them at the back of my (dearly-departed) Buggy Champ. That car bounced quite visibly, but it sure was fun! I do not expect this F1-style car to do much bouncing. This upcoming bag will cover wheels, differential, and everything else leading up to the body. How these builds fly! Ultimately, these only serve to influence the direction this build will take with regards to detail painting. The first photo shows the wheel and tire proportions, but the view of the rear end is too obscured by shadows to make out too many meaningful details. However, we do see that the 312T3 does have blue harnesses in the cockpit. The Tamiya manual calls for XF-1 Flat Black. The leftover helmet was a result of me swapping in another helmet during that previous build, in an effort to further differentiate the driver and co-driver pair in the cockpit. The front vents will likely be filled in and sanded over. The proportions of the helmet are also better suited to Villeneuve's specific helmet, I feel, though the face will require some work to look the part! Villeneuve also uses light-coloured gloves compared to Reutemann's red ones. The static model manual notes this, but none of the RC manuals have this detail. The plastic model calls for Villeneuve's gloves to be painted matt white. One would think the F104W was designed for this! And yet wouldn’t the rear end look even better with slightly-taller tires? The decision to order F104W rubber tires was finalized with that picture. There is no paint, but surely, I can look at the decals, right? I would have had to, anyway, if I had decided to tackle the front and rear wings. I was not in the right mood for it, though, so I elected to leave it for another session. I felt I had to be in a better mindset in order to cut and line up everything correctly. The rear wing endplates also deserve a fresh builder, since instead of putting them on a chrome parts tree, Tamiya issues two clear polycarbonate pieces and a square of chrome decal! The idea is to remove the plates’ protective coverings and cutting out chrome decal to fit each plate. I felt that doing this properly required more patience than I had at this juncture, so I left it. Easily! I doubt I will be transporting it around to bashing grounds in here, though any long-term storage may find this fact useful. Even at this unfinished stage, I love the shape and presence. The wheel/tire set still looks a bit odd to me, though that is only because I have ideas as to what a 1970s F1 racer should look like. Objectively, the car looks great, and the tire widths are essentially spot-on between front and rear pairs. It is amazing that seeing the car like this is really motivating me to drop the capital for paints, which are really all that I need at this point. 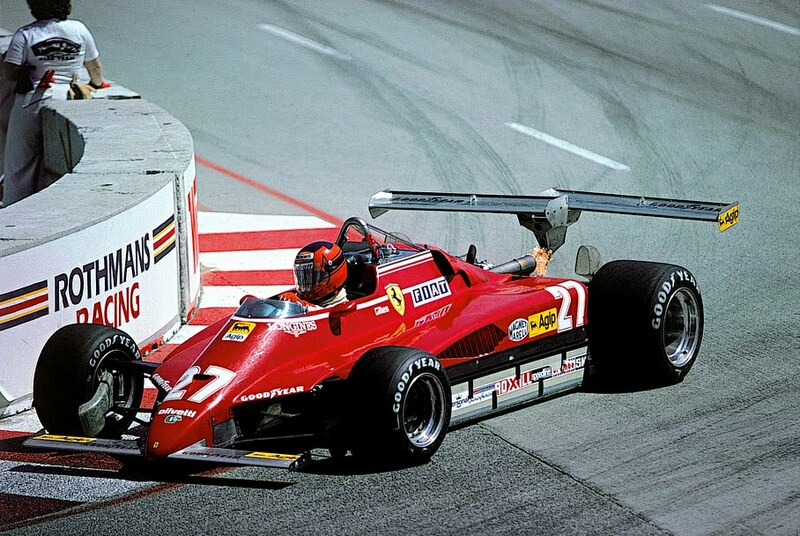 I also hope to learn more about the actual Ferrari 312T3 and revisit what I know about Gilles Villeneuve. My builds of real-car replicas always benefit from a bit of context and appreciation! Comparing the instructions between the 312T3 and the WR1, you can compensate for the larger rubber tires by using the S3 spacer instead of the S2 spacer in the rear motor pod. 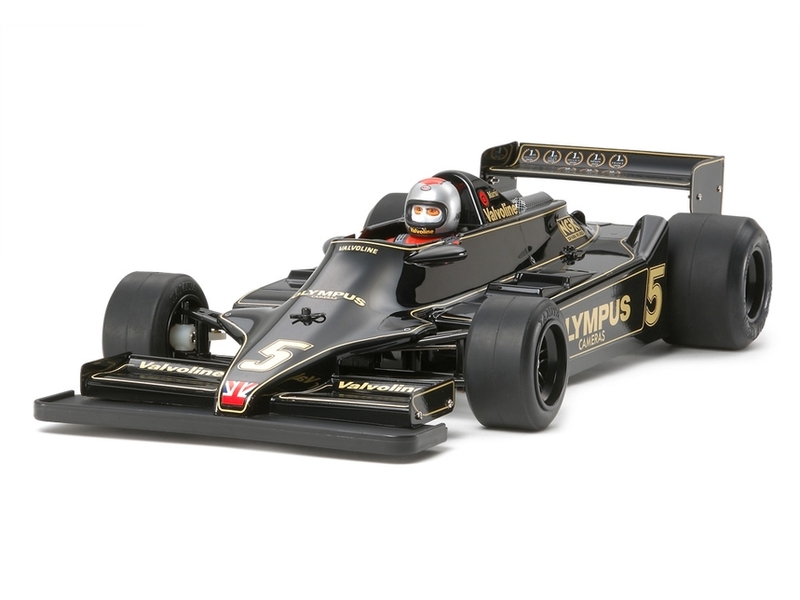 Additionally, the WR1 and Lotus 79 kits include a rear diffuser sandwiched between the motor pod and the T-bar plate. Between the 2 mm thickness of the diffuser added to the motor pod, and the 1 mm added to the axle height using S3 instead of S2, that compensates for the extra 3 mm radius comparing rubber rear tires to foam rear tires. Since the 312T3 kit doesn't include the diffuser, I can print a basic 2 mm spacer to lift the motor pod. The same M3x8 screws are used regardless of whether the diffuser/spacer is installed or not. There don't seem to be any differences in the front suspension of the car for either rubber or foam tires. The main difference I saw was the placement of the body mount. In theory the front is set for rubber tires right away; no changes required. In terms of brake ducts, the suspension posts located next to the steering knuckles are right in the way of any easy answer I can think of. As a result, I'm contemplating printing some knuckles that have the brake ducts integrated into them; basically the ducts need to start from the front surface of the knuckles and clear the posts when steering. I was going to mention that it looked like the only place to put brake ducts was directly on the front of the knuckle itself, back in the shot of the front suspension as viewed from the front. My own designs did not account for the screw going through the suspension arms to fix the upper half to the lower half. Your idea of integrating brake ducts into a new 3D-printed front knuckle will no doubt look more authentic and have the requisite clearances built into the part. Even if the F104W rubber front tires were smaller than the 312T3's foams, I was guessing that any reduction in ground clearance would not be drastic. It seems the 312T3 already has several more millimetres than it needs, but having the numbers is a great situation. I am also in favour of the 2 mm spacer to lift the motor pod, as that should be a bit more solid than using a 2 mm washer/spacer at each corner. It was also something I was admittedly unaware of, since I had never used a diffuser on any Tamiya F1 chassis. Did a quick design for the rear wheel tonight... Let me know what you think. I'm having a hard time gauging the Z placement of the fasteners holding the real-world wheel together. I think they must be pretty close to the face of the wheel as the 1:1 looks like a multi-piece design. This wheel should accept Tamiya's tire from the Lotus 79 and Wolf WR1. This will take me all the way to the bodywork, as there will be nothing else I can do that does not involve painting or a painted shell. Two small nuts are sandwiched between the wing and the small white assemblies, and glued in place. The endplates have a hole and a slot each - the hole is for the screw that turns into the nut in the wing, and the slot lines up with a matching protuberance on the outer edge of the wing for alignment. I believe this is how the original Tamiya Ferrari 312T3 does it, although that manual makes no mention of cutting a chrome decal to fit the clear endplates. In the photo above, the wing is scraped where cement is called for; I used CA glue for its fast-curing properties. I then cut the excess with a pair of scissors, which proved easy to do for a rigid decal like this. The effect is actually quite convincing - I would have expected covering both sides in chrome, but one is enough with the transparent polycarbonate. The decal appears the same on both adhesive and non-adhesive sides. I placed the Michelin and Agip decals in advance, believing it easier to handle the rear wing itself when applying decals instead of working with one sporting two fragile endplates. In the foreground are the two tiny screws to attach the front wing to the front bumper, and the larger tapping screws and washers that affix the rear wing to its mount. I am totally unsure about how long that tiny Ferrari badge on the front wing will remain there! The screws, of course - not the wing! What surprised me was how flimsy and flexible the rear wing mount is. It makes sense if considering race impacts and the fact that the car is unlikely to be doing any speed that causes the wing's downforce to bend/break the mount! As the rear wing is attached to the motor pod that can move independently of the main chassis, setting the friction damper too stiff results in the wing taking an unusual angle of attack. I moved the spring spacer down by a notch to soften it. I momentarily had the money to buy all the supplies I needed to finish both bodies (a bit short of $250 CAD), but life intervened... I was inspired to rig up a makeshift spray booth under the fume hood in the kitchen, but the other residents would not approve In the meantime, it still makes for an attractive static piece, and I intend to work on it again once wheels and tires arrive. 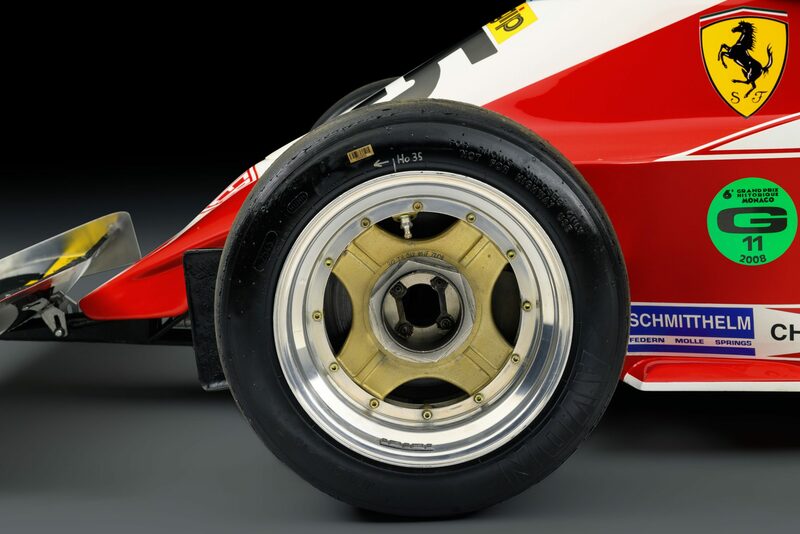 In your professional opinion, speedy: would a custom Ferrari 312T3 front wheel for F104W front tires be better as an insert for an existing F104W wheel, or a complete custom part like the rear that you had devised? Other than that, I look to work hard to raise the funds again to buy everything I need to paint up both shells! At full immersion in things Ferrari 312T3 and Gilles Villeneuve, I am actually quite motivated to see it through. This concludes the chassis assembly portion of the kit. Reassembly will be done once parts make their way in, which should be shortly in the new year. You're right to ask about the thrust bearing, disk springs, and spacer for the right rear wheel. I hadn't given it much thought since they're all captured by the axle stub and lock nut anyhow, but I could see how it might be easy to lose these small parts after removing the lock nut. Plus, without any surrounding features the thrust bearing is more exposed to dirt. There definitely seems to be some value in capturing these small parts with a wheel face insert or at a minimum a sleeve that mates with the spacer and contains the thrust bearing and disk springs. As far as the front wheels are concerned, the Ferrari design has four large spokes but the Wolf/Lotus front wheels have six pairs of spokes. An insert might look a little funny if it partially exposes a double spoke behind it. You can buy as many Tamiya rubber rear wheels (19338097) and rubber front wheels (19338096) as you like and simply move the inserts from one set of wheels to another as the tires wear out. The thrust washer, disk springs, and diff spacer are handled with the same assumptions and service procedures as they always have been. The proportions of the wheel lips are wrong; the rear wheels have an extra ridge half way up the interior of the main barrel; the front wheels will expose some of their double-six spokes behind the four-spoke insert. We lose out on an opportunity to incorporate brake discs into the wheels. We'll strive to make the proportions as correct as possible (ala count pixels, calculate ratios, try to get it right from reference photos. I'm thinking we could add brake discs for even more detail. I guess I'm the sole source of the initial run of wheels, but I could always give you the CAD files and point you to the free tools to get them manufactured in volume somewhere. PLA is my preferred material and generally has good properties, but it's not quite as resilient as ABS or nylon to heat. You wouldn't want to store the car in a 60C or 70C environment for years. I would likely design a simple sleeve to contain the thrust bearing, disk springs, and spacer; it would stick out a little from the face of the wheel. For example, I am a bit fussy with the cutting marks from the plastic tree. With some practice and a tiny camping gas lighter they are gone in a split-second. Yeah, I felt that way, too! Grastens, I think we have a winner for the front wheels. I had to upsize the center wheel nut by 1 mm so Tamiya's box wrench can access the lock nut on the axle stub. Other than that most details are correct. I'm leaving off the valve stem and wheel weights as these little sub-mm parts are difficult to print given the resolution of the printer. I thickened the center barrel for the wheel bearings and cut a 2 mm donut near the inner wheel bearing to glue on a brake disc later. Interested to note that it uses the same T-bar arrangement as the F104 Pro II, omitting the diffuser and having the motor pod underside contiguous with the T-bar. Should be a loot tougher than earlier F104s with their plastic motor pod undersides. Alright, Mr. Grastens, I think I'm done with these wheels. The printer is running as I write this now. I feel pretty good about the front wheels overall. The rear wheels now have that pocket for the thrust bearing, disk springs, and diff spacer. There's 2 mm reserved around the hex for a brake disc. Probably the aspect of the design I like the least is how the conical center portion of the rear wheel is mostly lost due to the pocket for the diff parts. However, with some careful painting it won't be that noticeable. They're beautiful! Thank you so much! I look forward to seeing how they print out! I can tell some touch-ups will be needed on the rear wheels, but it's all coming along. I'll be more excited when I get some gold and black paint applied. Wow--- great work guys,,, I just spoke with Paul today (speedy_w_beans) and he filled me in on this collaborative effort. Nice wheels! Looking forward to the rest of the build fellas.